The Stradivarius received its name “Hammer” from a 19th century Swedish collector, Christian Hammer, who is also the first recorded owner of the violin. Since then, the Hammer Stradivarius has changed hands with several owners. However, the anonymous bidder who bought it at the world-record price made the sale through the telephone. Prior to being sold, the previous owner bought it in 1992, but also declined to be named. The million-dollar Hammer Stradivarius has been loaned to violinists for orchestral performance. One of them includes Kyoko Takezawa, a highly sought-after soloist with many of the world’s leading orchestras. 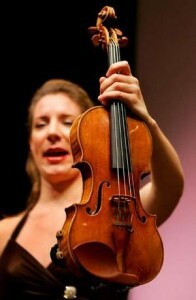 The US$3.544 million price tag of the Hammer Stradivarius toppled the record US$2.032 million price fetched by fellow Stradivarius, “The Lady Tennant” in 2005. Hi, I am a new Professional Violinist looking to Find and buy the “Hammer” Stradivarius. I would like to know who the current owner of it is?? And how much it is? ?